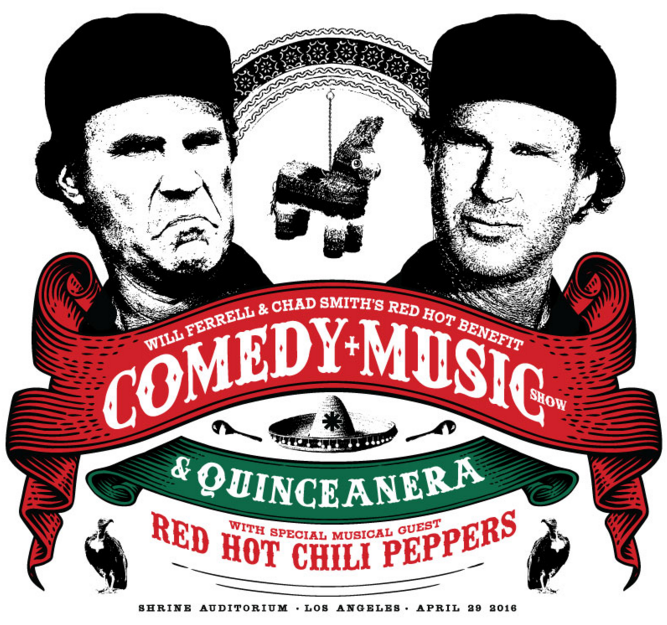 Funnyman Will Ferrell and his uncanny lookalike, Red Hot Chili Peppers’ drummer Chad Smith, cordially invite you to their Red Hot Benefit Comedy + Music Show & Quinceanera! That’s right — two grown men are throwing themselves a Quinceanera. On Friday April 29, Ferrell and Smith will deliver musical and comical entertainment to LA’s Shrine Auditorium. Aside from Ferrell and the Red Hot Chili Peppers, the proposed line-up is guaranteed to please: Devo, Jim Gaffigan, Nick Offerman and many others! 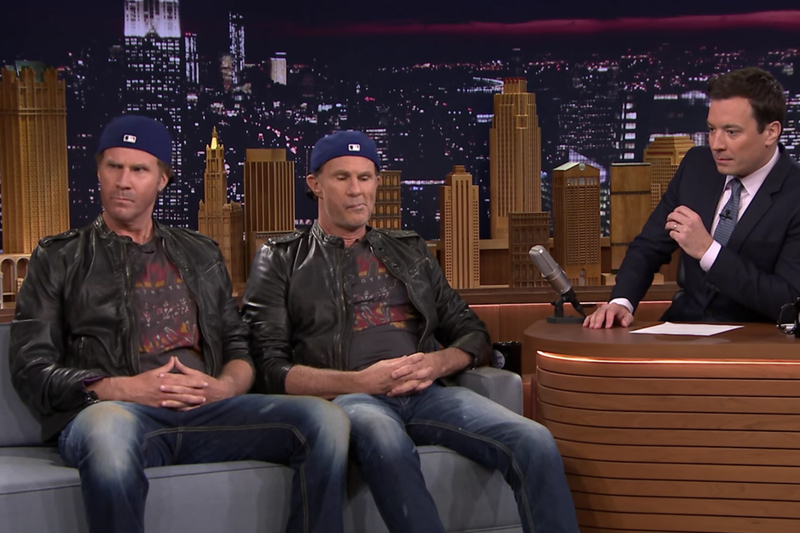 Ferrell and Smith first joined forces for a hilarious drum-off competition in May 2014 on the Tonight Show with Jimmy Fallon, which raised more than half a million dollars for charity. The Quince will raise money for two commendable charities. Ferrell’s charity of choice is Cancer for College. Cancer for College was founded in 1994 by Ferrell’s college fraternity brother, Craig Pollard. The charity’s mission is to help cancer patients go to college through the provision of scholarships. As of today, Cancer for College has raised more than $2 million for over 1,000 cancer patients and survivors in the United States. Smith’s charity of choice is the Silverlake Conservatory of Music. Silverlake Conservatory is the brainchild of Red Hot Chili Peppers’ bass player, Flea. Arts funding and education are increasingly dwindling within the public school system. Silverlake Conservatory’s mission is to provide a basic music education for the Los Angeles community’s youth. The charity is able to secure this music education through the provision of extremely affordable or free instruments and music lessons. Tickets for the Red Hot benefit Comedy + Music & Quinceanera show are available on Funny or Die’s website here. Don’t miss out on the chance to be a part of a star-studded night of entertainment that’s all for a good cause! Check out Ferrell and Smith’s original drum-off below.